Thanks for the kind words Annie! So glad you loved our service, the home looked amazing. So lovely! Thank you for the kind words Ben! We're looking forward to working with you on more properties this year. Thank you Jasmine & the Scott Thornton team. We look forward to working with you in upcoming campaigns! Thank you Helen, appreciate it! I'm sure you are enjoying the new space! Thank you for your hard work and recommendations. Your talents are beyond any other Styling teams I have ever worked with. Thank you John! Appreciate your kind words, it means a lot! 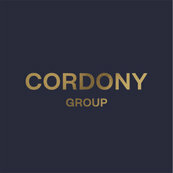 Kahlia & The Cordony Designs team. I recently completed the renovation of my home. Thank you Elaine, for your patience & believing in our work from the start! Your input was much appreciated, where Leah assisted in making your vision come to life. After living in a house for over 70 years our Mother & Father raised 4 boys and had done their best to look after the house and us . Thank you for trusting us with the family home Ian, it was an such an amazing transformation to witness! Thank you so much Greg for you kind words, it was a pleasure assisting you. Thank you Sylvia, thats what we do best! Our pleasure, glad the move went smoothly. Congratulations & thank you Sally, we're so glad you loved the transformation! Wishing you all the best in the future!